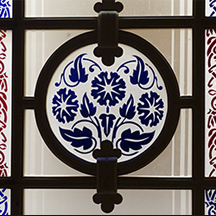 “Work personally the decorative arts of glass allows us to solve the particularities of each project and meet the needs of each client at competitive prices”. 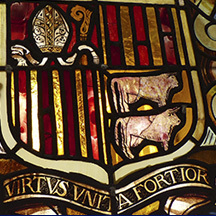 Reproduction of the cardenalliciio shield in acid etching in four colors on colorless glass. 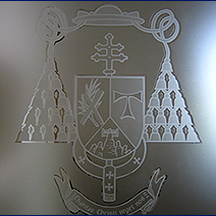 Reproduction of glass etched on colorless glass from the original models. Reproduction of the original drawings engraved with acid, several inks, in missing glasses. Reproduction of the original drawings. 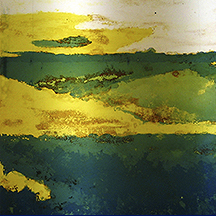 Creation of tinted glass with three more colorless inks following the model of the original engraving drawn from a file photograph. 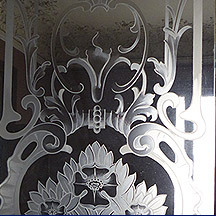 Reproduction original ornamental drawing on colorless glass or colored glass for the broken or missing glasses. 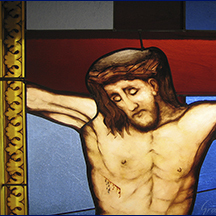 Restoration of the stained glass windows with reproduction of paintings on engraved glass for the missing elements. 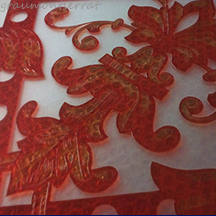 Reproduction of etchings on colored glass. 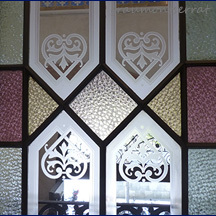 Creation stained glass windows etched on double-lacquered blown glass of colors (colorless + opaline + color). 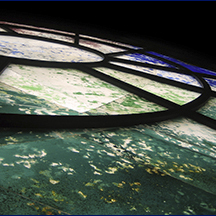 Contemporary stained glass window etched on blue-colored blown glass and painted on fire with grisailles and yellows of silver. 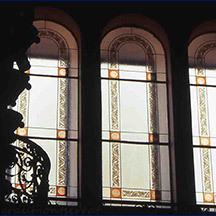 Stained glass with reproduction of paintings in fragments missing. 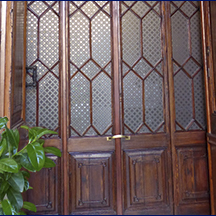 Restoration and reproduction of paintings in missing glass fragments. 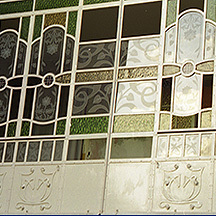 Creation of leaded traditional stained glass windows with ornamental motifs painted with grisailles and yellows of silver on printed glass, and engraved engraved glasses. 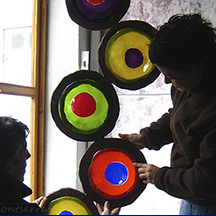 Creation of enameled artistic stained-glass windows. 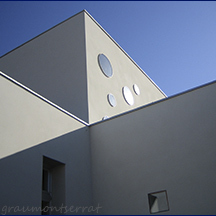 Project by the artist J. Ricart Garriga. St Cosme i St Damià. 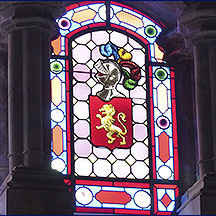 Creation of the stained glass windows of the Baptistery, rich in religious iconography painting. 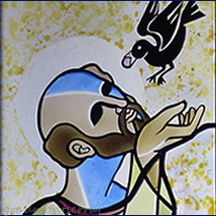 Creation of contemporary stained glass using the techniques of etching, painting on glass and thermoforming. This is a small sample of the sculptural work of Xavier Grau. Soon you can check the visual art website.